British sythnwave group GUNSHIP pride themselves on taking all their influence from 80s movies and their soundtracks. Firmly taking grasp of the neon-design movement happening at the moment with their videos and visual branding and their sound mirroring the synth soundtrack revival lead by the popularity of shows like Stranger Things and Drive, second single off their upcoming album of the same name Dark All Day is a retro-futuristic banger that feels as new as it does reminiscent of everything that you loved about the 80s (if you lived through it). 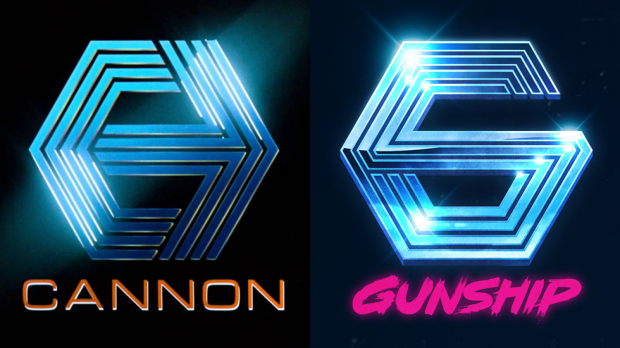 With perhaps the best band name ever, GUNSHIP even model their logo on the The Cannon Group, Inc. logo, a conglomerate that included Cannon Films which released B-grade to mid-level films, the bulk of their releases between 1980 to 1989, including classics like American Ninja, Cyborg, Kickboxer, Masters Of The Universe, Cobra, Missing In Action and many, many more. Dark All Day is an unashamed tribute to the classic 1987 vampire movie The Lost Boys, starring a young Kiefer Sutherland, Jason Patric, and the infamous “two Coreys”, Corey Feldman and late Corey Haim. 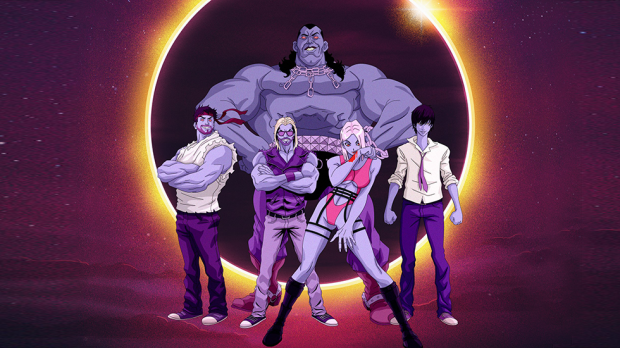 The awesomely animated film clip to Dark All Day almost serves as sequel to the movie as the band enters Santa Carla in a semi-trailer, causing destruction, (ala’ Metalocalypses’ Dethklok) with the band then materialising to perform to a town of vampire creatures, before an ultra-violent battles erupts between the bands security and the vampire horde. The clip features what appears to be Kiefer Sutherland’s antagonist character David leading the vampire horde and even the Frog brothers make an appearance. 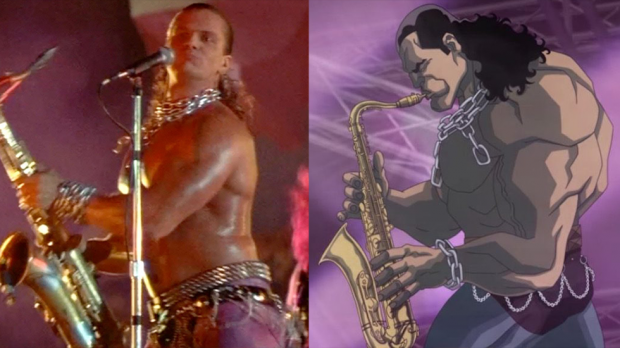 For Pete’s sake, the song’s main feature is the guest saxophone stylings of Tim Cappello, the muscly, hip gyrating performer from the actual beach scene in the original movie. You can’t get much more Lost Boys than that! It opens with a synth arpeggio that sounds like it is lifted straight from John Carpenter’s Halloween theme, before Tim Cappello’s saxophone rings in and you are instantly transported to the cyberpunk-noir streets of Blade Runner. 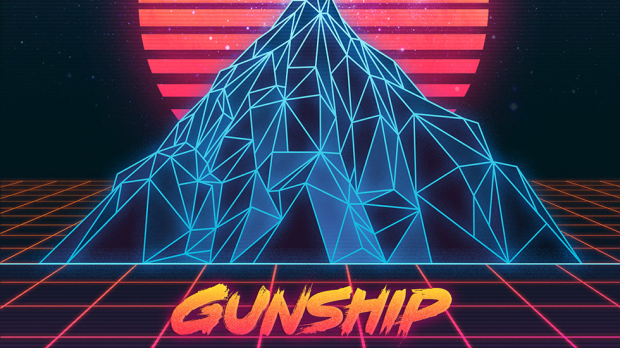 From then on in it’s fat bass and the sultry vocals of UK singer Indiana accompanied by GUNSHIP lead singer Alex Westaway. Clocking in at 5:41 it’s no radio friendly jingle, but with it’s atmospheric intro, fat verses, beat drop choruses, breakdown bridge and moody outro every piece of this work is well justified. If you like this number be sure to check out the mellower, Ready Player One themed Artemis and Parzival, first single off Dark All Day. Dark All Day the full length is due out later this year and judging on these efforts, I can’t wait to hear what else the album has to offer.